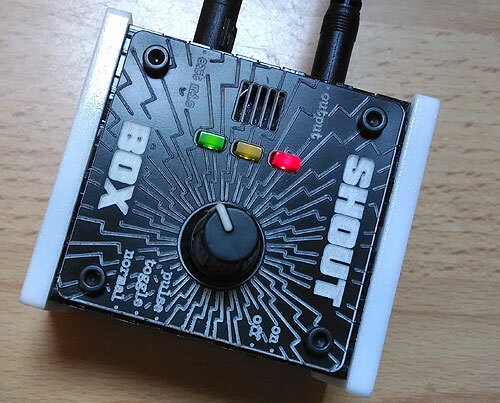 Use your voice, breath or anything that can make a sound to act as a switch with the Shoutbox. 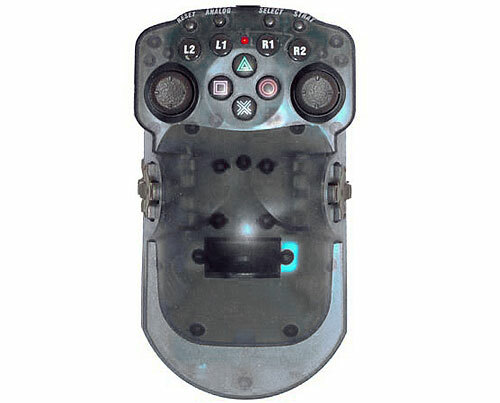 Aimed for use with low-voltage switch interfaces for games machines, computers and toys. 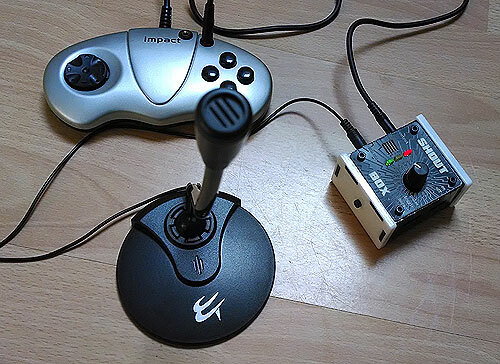 2 Microphones: integral and 3.5mm plugin desktop mic. 3 Modes: Pulsed, toggled and normal (momentary). RED light = power on. GREEN = output activated whilst lit. Requires 3x AAA batteries and small screw-driver. These and the switch adapted gamepad are not supplied. Created by Jason Hotchkiss in association with OneSwitch.org.uk.